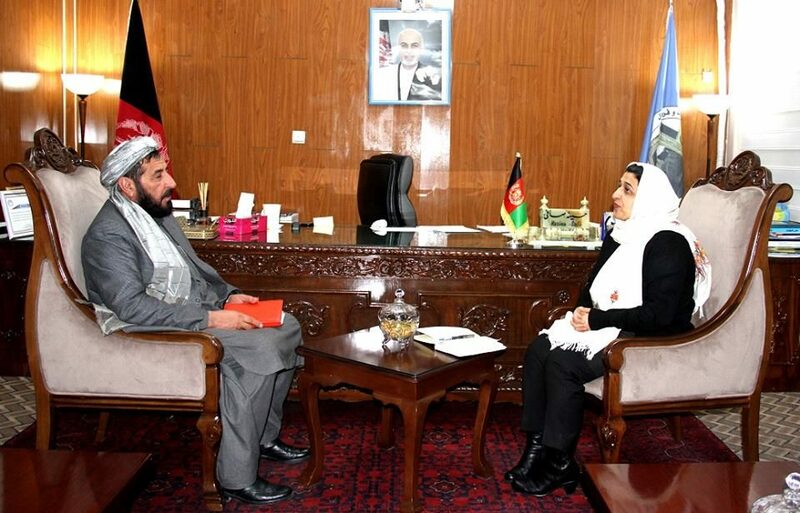 KABUL: Acting Minister of Information and Culture Hasina Safi met Uruzgan governor Sayed Asadullah Sayed in her office yesterday and both sides discussed addressing cultural challenges of the province, BNA reported. Briefing the acting minister on cultural assets of province, the governor presented his recommendations to address cultural challenges of Uruzgan Province, including establishing of a radio station and holding of cultural and awareness program for directorate of information and culture. Recalling Ministry of Information and Culture’s programs for the provinces, minister Safi said much attentions to be paid for those provinces that have not been focused. “MoIC to build library and conference hall in upcoming solar year of 1398,” the minister said as quoted by the agency. The minister went on saying that training programs to be organized via deputy ministry of youth affairs for the local directorate of information and culture. Minister Safi also assured ministry’s cooperation with the province over addressing the challenges before cultural institutions.